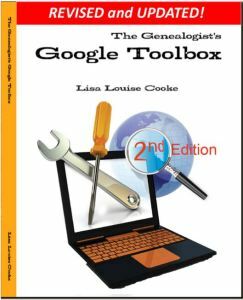 What do you do when you Google something, click on a search result URL, and it says “page not found,” or “error?” Debbie recently discovered the answer in her new copy of the newly revised and updated The Genealogist’s Google Toolbox (2nd edition). As you know, Google “crawls” the web constantly indexing websites. It also takes a snapshot of each page it examines and caches, or stores, the image as a backup. It’s the behind-the-scenes information that Google uses to judge if a page is a good match for your search queries. 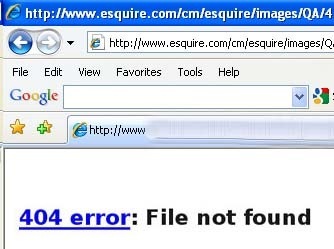 In the case of a website that no longer exists, the cache copy provides a snapshot of the website when it was still active. 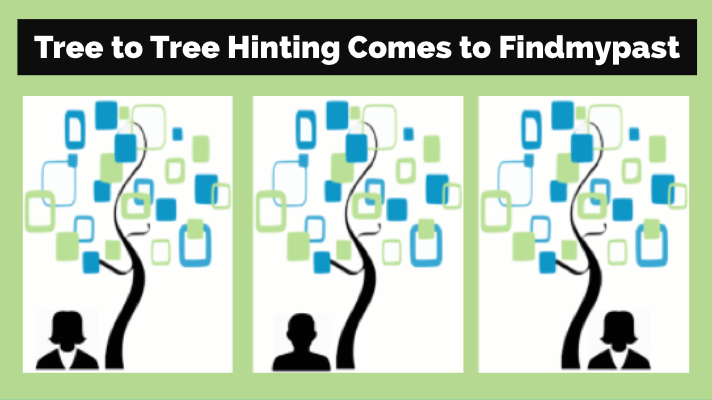 Practically every search result includes a Cached link. When you land on a “File Note Found” error page, click the Back button on your browser to return to the Google search results page. Directly under the website title is the URL. Click the small down arrow right next to that address. “Cached” will be one of the options presented in the pop up menu. Clicking on the Cached link will take you to the Google cached version of that webpage, instead of the current version of the page. 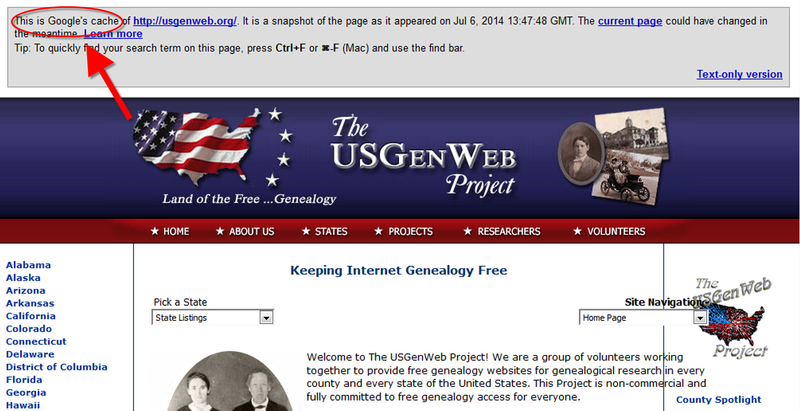 the website owner recently removed the page from the web. If Google returns a link to a page that appears to have little to do with your query, or if you can’t find the information you are seeking on the current version of the page, take a look at the cached version by clicking the cached link. You will then see the webpage as it looked when Google last indexed it. The original web address of the page. The date and time that the page you are viewing was cached. A link to the current version of that page. If you don’t see a cached link in a search result, it may have been omitted because the website owner has requested that Google remove the cached version, or requested that Google not cache their content. 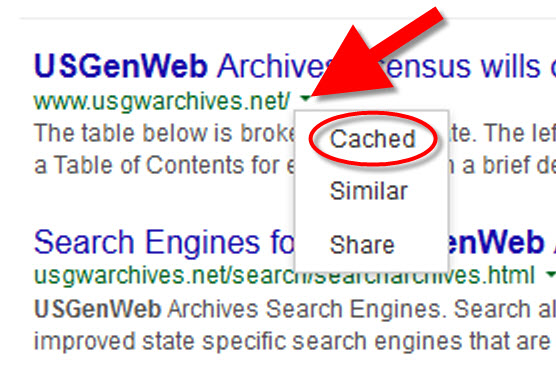 Also, any sites Google has not yet indexed won’t have a cached version. Be aware that if the original page contains more than 101 kilobytes of text, the cached version of the page will consist only of the first 101 kbytes (120 kbytes for pdf files). Interested in learning more about caching? This tip comes straight from my book, The Genealogist’s Google Toolbox, 2nd edition, all-new and revised for 2015. 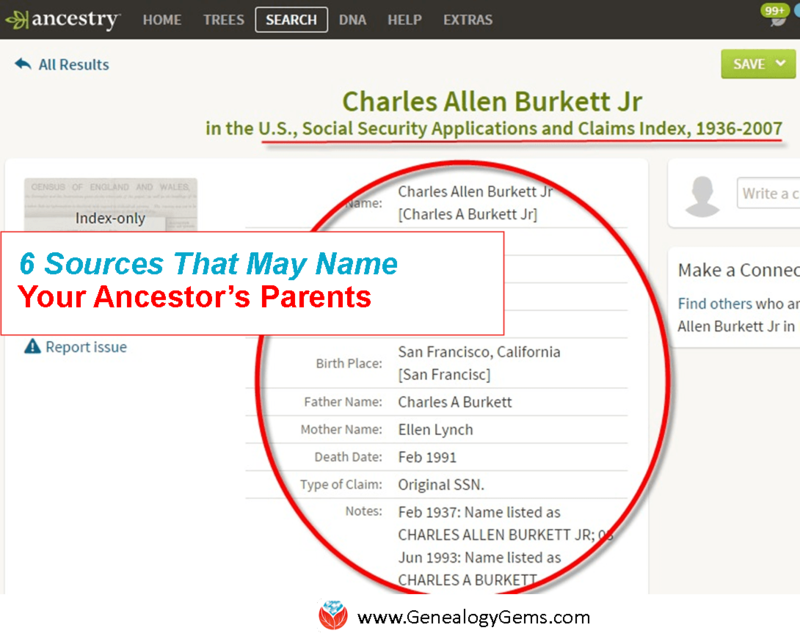 Find more great tips like this for getting the most out of Google for genealogy–and anything else you want to find online! Click on the link to learn more.